Sometimes only Vertical Blinds will provide the options you want … controlling light and privacy plus giving you easy access through French and Patio Doors. When hung without bottom chains, Vertical Blinds are both pet and child friendly. Available in Fabric and attractive new PVC styles and textures from GRABER, you can find a design that suits your lifestyle. An “S” curve PVC design adds extra light and privacy control as well as giving more of a columned drapery appearance. You also can enjoy any colour of Fabric vane and adapt it to strata “neutral colour to the street” requirements by placing them within a specially designed PVC vane called the “Groover” that is neutral, light coloured outside regardless of the fabric colour you see indoors. 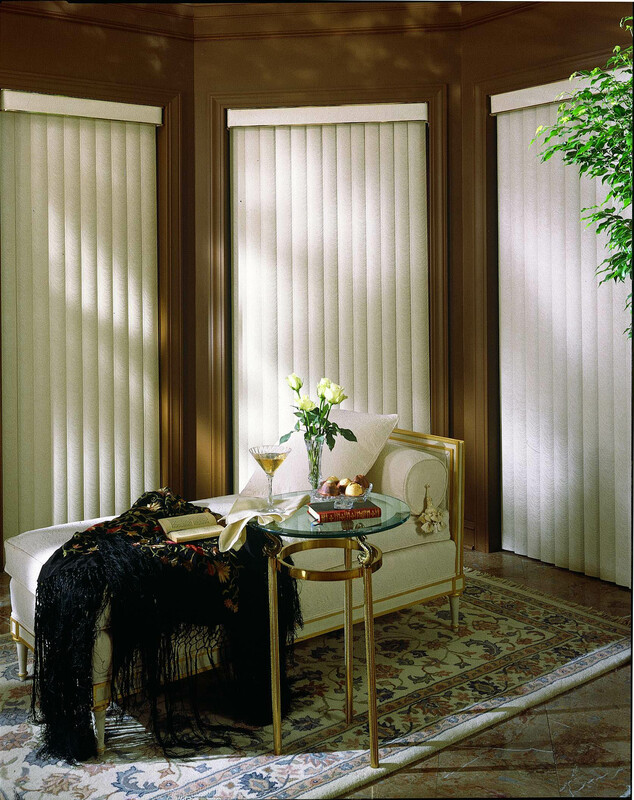 Custom sized for your needs, ABBEY GRABER also offers coordinating 2″ HORIZONTAL BLINDS when your room demands both VERTICAL and HORIZONTAL solutiions to your window coverings.